While my kids really love pizza, they’re all very picky about their toppings and it seems like they each want something different. That’s why I love these pita pizza pockets – they’re super easy to make, the kids enjoy helping to make their own, and everybody gets exactly what they want in them. I cut the pitas in half, cooked the sausage and assembled the other ingredients on the table in advance then called the kids in to let them help put their own pizza pockets together before I popped them in the oven. They only take a few minutes and the kids had a blast helping make their own dinner. Cook and crumble Italian sausage. 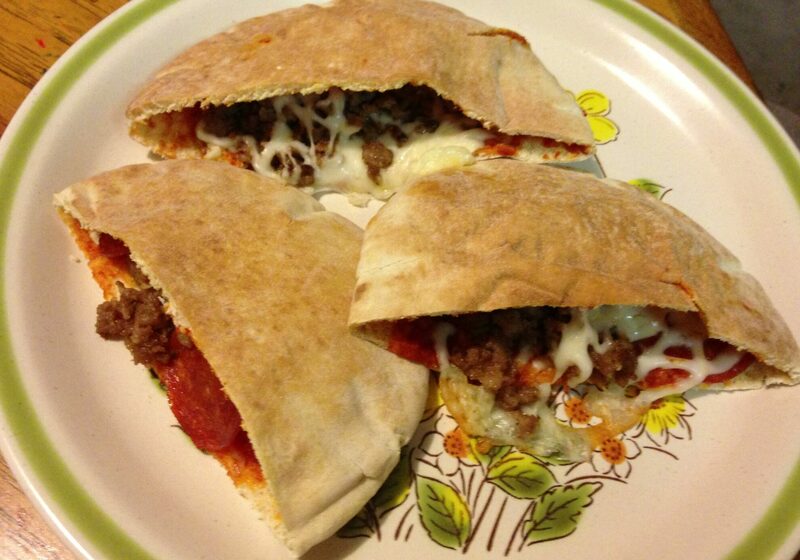 Cut pita rounds in half, split them open and spread spaghetti sauce inside. Fill pita pockets with 1/4 cup of cheese and other fillings of choice. We made ours with some pepperoni, some sausage and some a combination of the two. Place on a cookie sheet and bake at 350 degrees for 10 minutes or until cheese has completely melted. YUMMY!!!! My kids LOVED these!! We had them the past 2 nights. 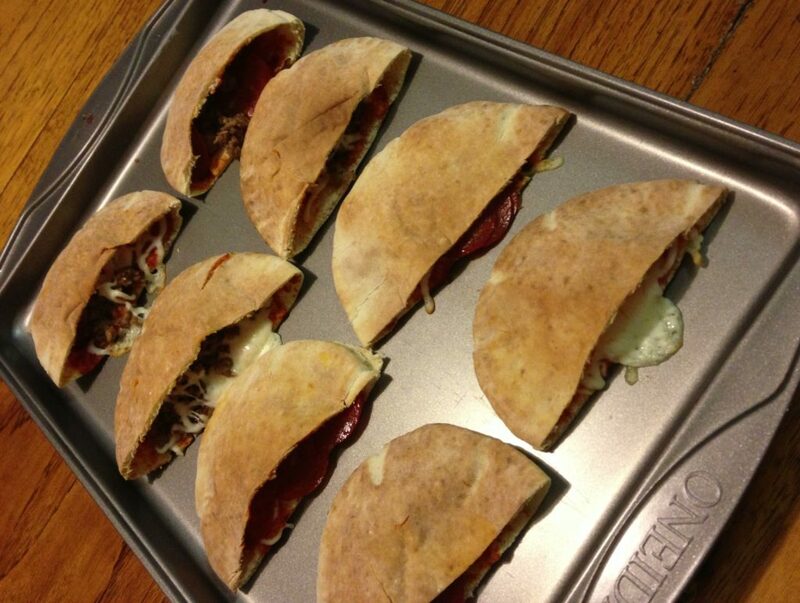 The pita pockets are like a yummy thin crust & get a little crispy if you leave them in the oven 1-2 minutes longer. I used Rosemary & Olive Oil Flat Bread and they tasted great. My 9 yr old daughters loved the flavored flat bread more than the pita. I also sprinkled a little oregano & basil on mine. This is recipe is a keeper and we will be having it again!! Thanks for sharing!! !